We are a family run local business, here to help you find the mattress you are looking for a fraction of the retail price! We have cut out the high expense of having a store front retail space and kept our business overhead to a minimum enabling us to help YOU save! Why pay more at the big retail stores when you can buy local and SAVE! 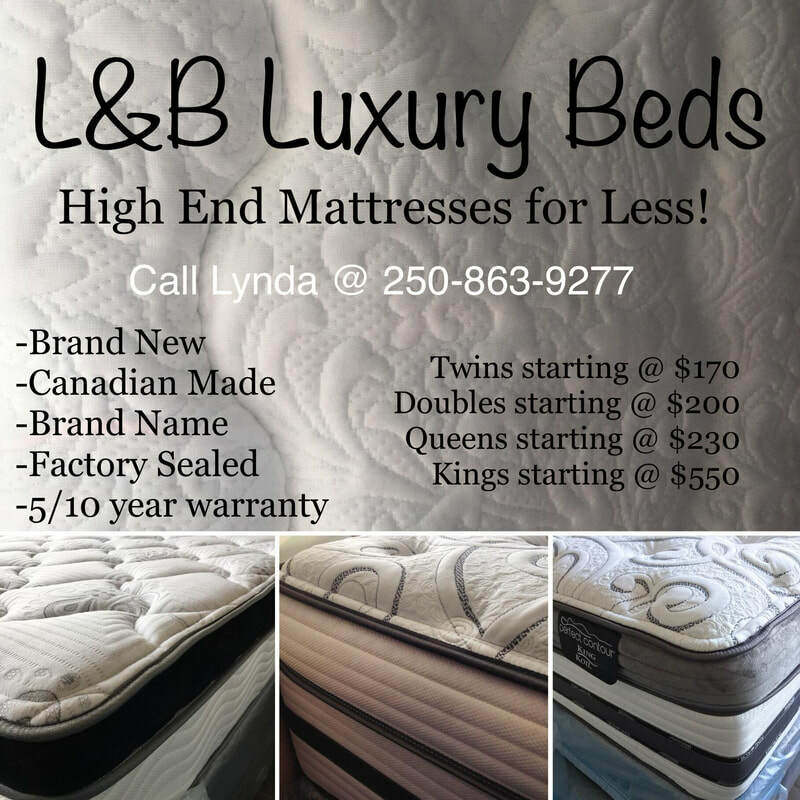 At L&B Luxury Beds we have a variety of brand new luxurious mattresses to choose from! Yes that's right, brand new mattresses that have never been slept on, still in their original factory plastic and come with a 5-10 year manufacturers warranty! All of them at affordable pricing! Each customer saves on average between $500 - $1500. Come check out our storage container to view, touch and even lay on the mattress of your dreams. All of our mattresses are first come first serve as they arrive, so book an appointment today to ensure you have the best selection to choose from! We carry ONLY Canadian Made beds by Canadian Manufacturers. Our stock turns over very quickly. We have all different sizes and a variety of models to choose from including tight top, pillow top, eurotop, europillowtop, firm or plush, etc. Call us today to book an appointment!